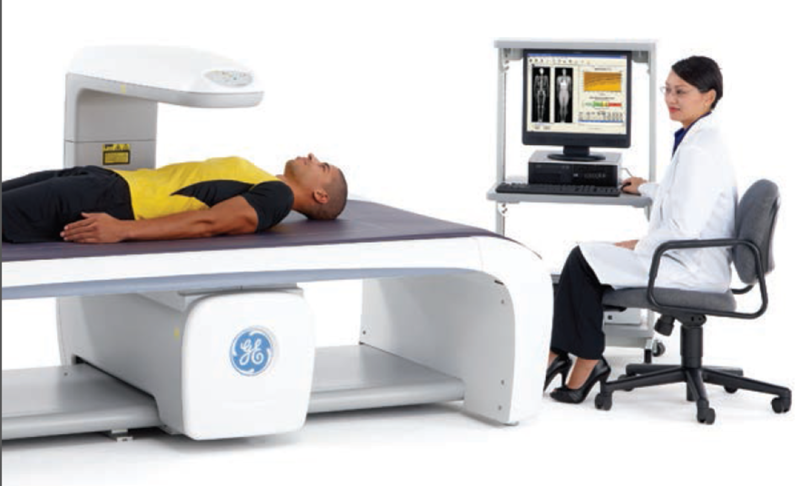 The DEXA bone densitometer at Allied Bone and Joint uses small amounts of X-ray (about the same as a round-trip transcontinental flight) to produce the total body image.With interval scans, results can be compared to better understand how changes in diet, exercise, lifestyle or other interventions are influencing your body composition. People often stereotype runners and triathletes as type-A personalities. And the more serious they are about it, the more “A” they are. The truth is, we do love numbers. Whether it’s miles, minutes, meters or even pounds, we like to see our numbers. Numbers give us a tangible way to see results. Through all the ups and downs of life, through all the troubling times and a topsy-turvey economy, what is so great about training and racing is that you get out of it what you put into it. We can’t always say the same for our jobs or personal lives. I know if I run Yasso 800s while marathon training, it is going to improve my marathon time. When visiting the doctor during my last, twin pregnancy (over the age of 40) the doctors were always floored at my numbers. Apparently I have awesome hemoglobin and a resting heart rate so low it is alarming. So what if we could have a way to take these kinds of numbers to measure what is happening to our muscles, bones, and fat? 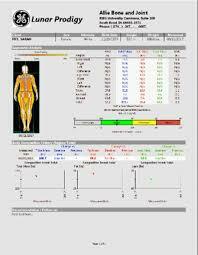 Body composition results from the DEXA scan at Allied Bone and Joint are presented in a seven to 10 page report. Well, now we do. 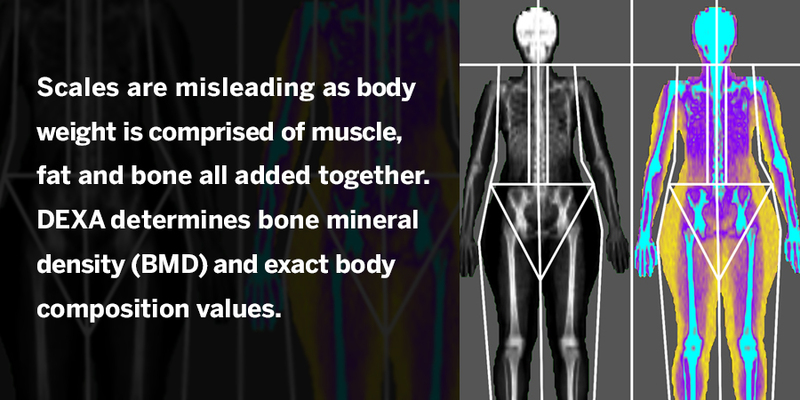 Allied Bone and Joint has a body composition machine that does just. This Dual Energy X-ray Absorption machine (or DEXA) is the only one in the area. It doesn’t just measure bone density for those at risk of osteoporosis. 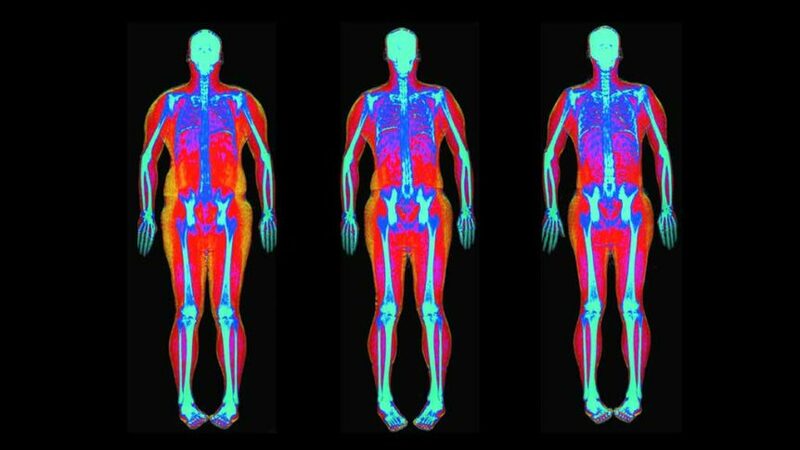 The DEXA is a full-body scan from head to toe including legs, arms, lower abdomen and upper torso. It shows the fat around organs (called adipose tissue) which when the levels are high, can raise the risk for metabolic diseases like type 2 diabetes. One athlete had less than one-tenth of a pound of adipose tissue, while over 4 pounds is high. The final pages of the report show how your numbers stack up against others and where you fall in healthy or dangerous ranges. This test is like seeing your miles increase or you mile time decrease. It’s giving you real figures in order to determine, “Is what I’m doing working?” says Hodapp. It gives you a starting and ending point to see results. You lay on a table to get the scan which takes about seven to 14 minutes, then wait an additional five minutes to have your report printed. The cost is $99 for one scan or $175 for two, which are typically done six months apart. Race season has slowed for us here in the northern states. Undoubtedly winter is time to rest from the race schedule and start strength work for next season. We have the long miles behind us and look forward to maybe having some days to sleep in and hibernate. And, of course, with the holidays comes pie and stuffing and mashed potatoes… You see where I am going with this. A second scan by next July or August would make you feel like a superstar! For more information and/or to make an appointment, contact Allied Bone & Joint page on Total Body Composition. Mia Garcia is a Ironman and all-around aficionado of training, athletics and competition. She is a regular contributor for RacePlayMichiana.